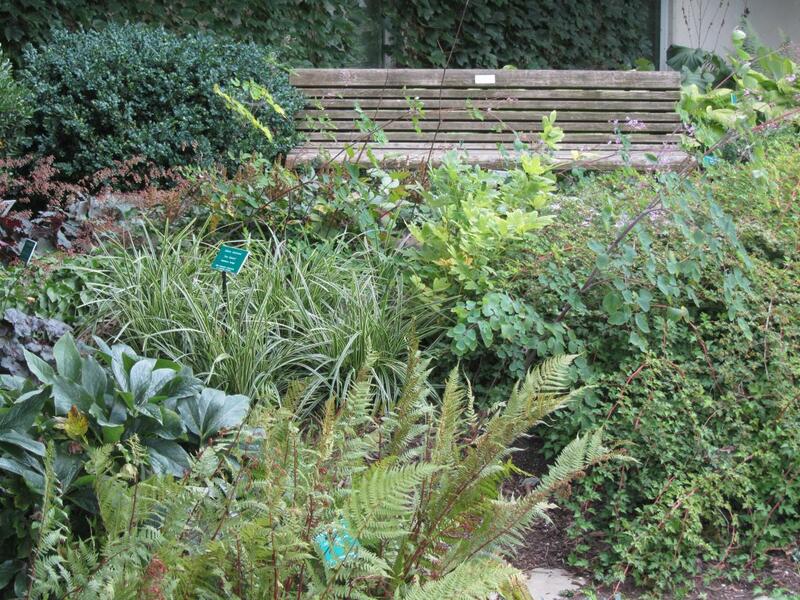 The Mary Ann Arthur Shade Garden pays tribute to a very special supporter who will forever remain a legacy at The Ohio State University Chadwick Arboretum & Learning Gardens. The late Mary Ann Arthur was an active member and leader of the Chadwick Arboretum Development Committee. She worked tirelessly at establishing donor relations to help build our plant collections. We can attribute much of the arboretum's growth to her dedication, and we thank her family for endowing this shade garden. On July 17, 2003, we dedicated this garden in Mary Ann's honor with an ice cream social for family, friends, and former members of the Chadwick Arboretum Development Committee. What is a Shade Garden? A shade garden can consist of varying amounts of sun and shade, and selecting appropriate plants for the garden varies with the amount of shade. 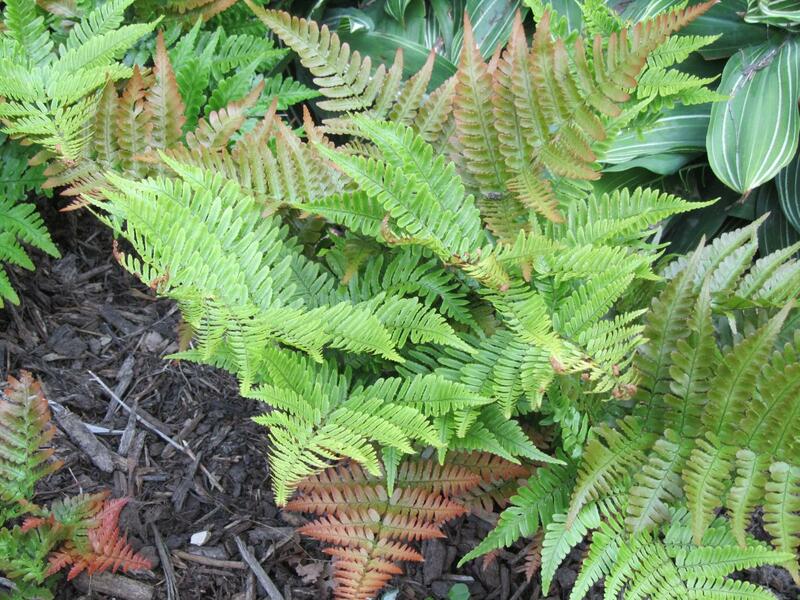 Determine the following when selecting plants for shady sites. Full shade: the amount of sunlight reaching the garden is two hours or less per day. Partial shade: the amount of sunlight reaching the garden is two to six hours per day. Typical sites receive sun in the morning with afternoon shade or dappled sunlight caused by a large shade tree. Dry shade: sites which have a combination of shade from trees and shrubs and dry soils caused by their roots competing for water in the surrounding soil. Dry shade can be a challenge for the gardener. Sites like this require either frequent watering or selection of plants adapted to these growing conditions. Shade in the garden is often viewed as a disadvantage, but there are many appropriate plants to consider. Stroll through our Shade Garden to see many vigorous plants that brighten-up even the shadiest, dark corners of our garden. Most plants don't flower well in shade, so foliage is the star attraction in shade gardens. By mixing different colors and textures of leaves, a colorful and inviting garden space can be created.